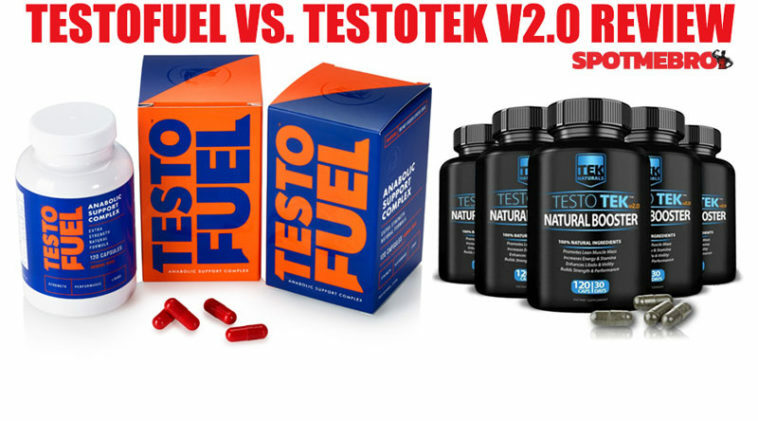 Home » TestoFuel VS. Testotek v2.0 Review: Which Is the Best Testosterone Booster? In this review, we will cross-examine TestoFuel with Testotek, to see which one takes the lead for boosting testosterone. Our team of researchers will inspect every detail to determine which formula is the most effective, safest, and better value for money. No fact will be left unchecked as we uncover exactly what makes up both TestoFuel and Testotek. 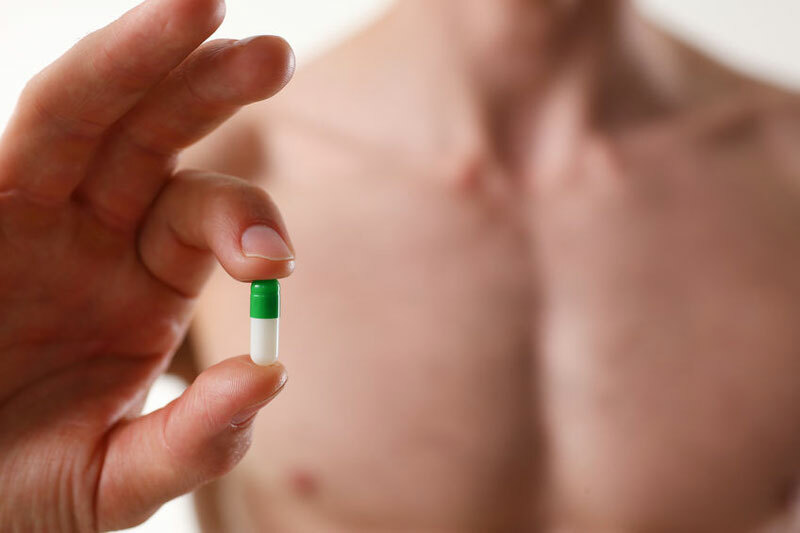 The testosterone booster market is flowing with products promising optimized hormones. But do these supplements live up to their claim? Are they actually safe or do they cause side effects? The only way to find out is by looking at what’s inside the capsules. That’s why we took two of the most talked about testosterone boosters today. Our team will inspect them side-by-side, head-to-head, to see what each has to offer. By breaking down their ingredients we’ll measure how and if they should work. Not only that, but we’ll be able to tell how safe they should be too. In the same process, we’ll also uncover potential side-effects. Finally, we’ll determine whether each product is worth your money. After all, price can play a part in the decision you make to take a supplement or not. By evaluating each of these things we can give the supplement a score. Then, we’ll be able to pit TestoFuel and Testotek against each other alongside a set criterion. This keeps everything uniform and ensures both supplements are tested equally and fairly. By breaking down every important aspect and comparing the results we can help customers make the best choice when it comes to buying. Once this review is finished, we want you to be able to see clearly which testosterone booster better suits your specific goals. In this section we’ll talk about the people who create these supplements and what their reputation is in the industry. Their other supplements will also be up to discussion as we analyze the brand as one entity. We’ll also take a look into the background and origin of both TestoFuel and Testotek. This should give us an insight into how they came to be, and why their manufacturers made decisions on certain formulas and servings. 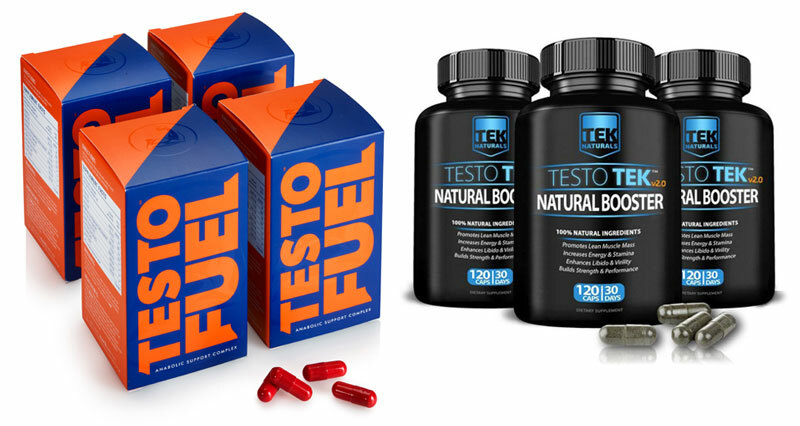 TestoFuel is the debut testosterone booster and flagship product from specialist supplement company Roar Ambition. It’s been one of the go-to products on the market for many years, with a good track record of reviews. Roar Ambition are a niche company who appear to focus on creating premium products. After inspecting their catalogue, we only found a few select pieces. Each one clearly aimed at specialist audiences too. You can see recent reviews for these on SMB. 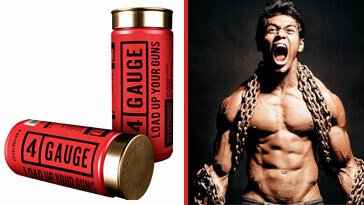 In our archives you’ll find the likes of 4 Gauge, Instant Knockout and their latest launch Hunter. According to the website, TestoFuel was developed to help men claim better hormonal balance. The formula is also made of ‘exhaustively researched’ ingredients that should allow men to build more muscle. While it promises to bring more drive, energy, and libido; muscle building is the main focus. We believe this is why TestoFuel has become increasingly popular. Created in a similar light, Testotek is the primary testosterone booster from TEKnaturals™. It’s seen a formula change in recent years and now the company is back with Testotek v2.0. On their website, TEKnaturals™ say they bring ‘two decades of nutritional supplement experience to the table’. They also claim their products are completely natural and are designed to have ‘a true impact on the body’. 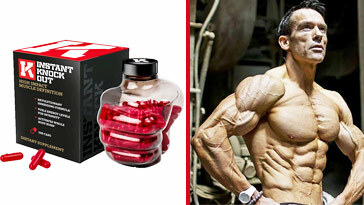 TEKnaturals™ range of supplements is similar to Roar Ambition too. Our team saw a cut-back catalogue featuring a testosterone booster, a men’s multivitamin, a fat burner, and a nootropic. However, unlike Roar Ambition, TEKnaturals™ only has one testosterone booster and that’s Testotek v2.0. As a company, TEKnaturals™ seems to have a solid reputation for fairness and security. Our team found no complaints of unwanted re-occurring orders or hidden costs. However, their product reviews are very mixed. According to TEKnaturals™, their testosterone booster should bring about the expected bonuses of peaked hormones. Among these benefits are the support of lean muscle mass, fat loss promotion, and an enhanced libido. It’s for this all-around support that many men try Testotek. Here we will inspect the five main ingredients from both testosterone boosters. Our team will reference scientific research to see how effective each ingredient should be, and if the serving size is safe and potent. 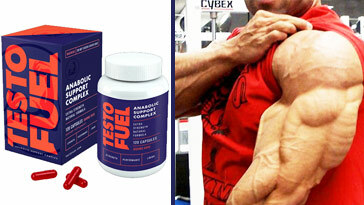 According to the manufacturer, TestoFuel is an all-natural testosterone booster. It is also free from proprietary blends, which means the formula is transparent from the start. This signals trust and quality to our review team. TestoFuel works through a four-capsule per day system. While it might seem excessive, this pattern allows for more of the ingredients to enter the body per serving. In total TestoFuel has nine ingredients. Our team consider this a smart amount, as each one is potent, without being overfilled. We’ve seen more powerful formulas before but TestoFuel seems to cover all bases without spreading their formula thin. D-Aspartic Acid (2300 mg) – This amino acid is important for regulating testosterone synthesis, growth hormone production, and therefore lean muscle mass . Studies have indicated short-term DAA supplementation with higher levels of testosterone. As a result, it is often used to treat infertility in men or athletes looking to increase lean mass and strength . Vitamin D3 (5000 IU) – Referred to as the ‘sixth steroid’ and ‘sunshine vitamin’, vitamin D is proven to support male hormones. Research also suggests that 3332 to 5000 IU is effective at boosting both testosterone and strength . TestoFuel delivers on both quality and quantity with this ingredient. 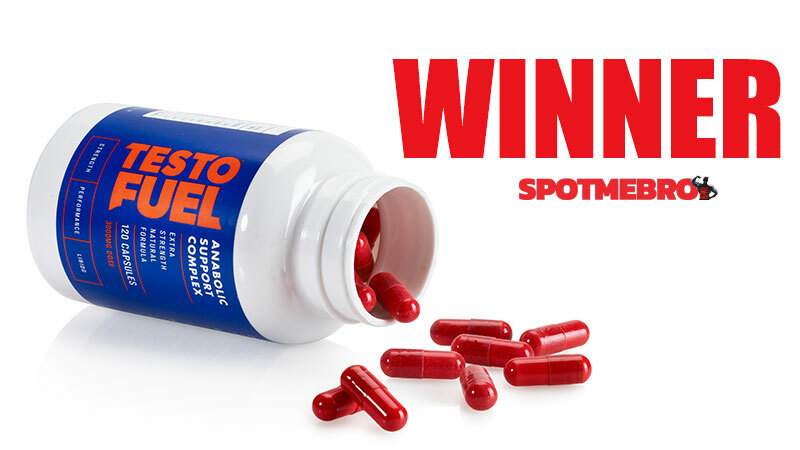 Oyster extract (100 mg) – One ingredient that sets TestoFuel apart from most competitors is oyster extract. This is an incredibly bioavailable source of zinc, which promotes healthy hormone levels. One study into the effects of this mineral showed that men with low testosterone are likely deficient in it . Ginseng (100 mg) – This is an ancient herb used to improve mood, cognition, and the immune system. However, scientists say it also increases testosterone and it’s derivative DHT , while helping regulate blood sugar . Fenugreek seed (100 mg) – Commonly used in cooking, Fenugreek holds impressive testosterone boosting properties. Inside TestoFuel it acts as an aromatase inhibitor, which should slow down the negative effects of estrogen. This process allows testosterone to operate more freely . TEKnaturals™ say Testotek v2.0 can help support your body’s natural testosterone levels through a plant-based ingredient formula. At the time of writing though, we found this to be a contradiction. The ingredient label clearly states this product contains Oyster Body Extract, which is not plant-based. However, all 12 ingredients do appear to be natural and free from proprietary blends. A formula that is transparent like Testotek v2.0 tells our team that it has high potential for trust. But at 12 ingredients strong, Testotek v2.0 is not as potent as TestoFuel. Yes, there is greater variety, but a two-capsule per day serving doesn’t create much space for optimal servings. While we believe most of the ingredients are impressive picks, a few could have been left out. Testotek v2.0 includes the main players we’d expect. But the lower servings may hinder performance. D-Aspartic Acid (2000 mg) – DAA plays an important part in stimulating the secretion of luteinizing hormone, which encourages testosterone production . Studies show it can boost male hormones in impotent men, as well as improve strength and muscle mass in athletes . Despite all this, at 2000 mg it’s a smaller serving than TestoFuel. Vitamin D3 (2000 IU) – This vitamin has been shown to have a close relationship with healthy testosterone levels . According to research, supplementing with 3332 to 5000 IU have shown positive testosterone boosting . However, the 2000 IU serving found in TestoTek is only 40% of that present in TestoFuel. Oyster Body Extract (70 mg) – Commonly used as an aphrodisiac, Oyster contains high amounts of the essential mineral Zinc. This is an element proven to benefit healthy testosterone production . Plus, Oyster extract is also one of the most bioavailable sources of Zn too, but at 70 mg, it’s only 70% of TestoFuel’s more generous serving size. Mucuna Pruriens (175 mg) – Unlike TestoFuel, this supplement contains mucuna pruriens. This is a compound that research shows raised testosterone levels in men with low sperm parameters . Pantothenic Acid (as D-Calcium Pantothenate) (10 mg) – Also known as vitamin B5, this is another ingredient exclusive to Testotek. Studies have indicated that deficiencies in it can negatively impact testicular function in mammals  . While the studies weren’t on humans, the evidence is positive to support its place in the product. TestoFuel and Testotek v2.0 take a different direction when it comes to servings. TestoFuel, for example, suggest four capsules per day. On the other hand, Testotek v.20 distribute their ingredients over just two. The idea behind both supplements serving suggestions is to spread the ingredients. This should mean that the user’s body can benefit from the effects of the ingredients throughout the day. In short, it’s a plan to provide consistent all-day support. For this reason, our team believe TestoFuel’s four-capsule serving is more appropriate. While Testotek v2.0 does make an effort to distribute throughout the day, TestoFuel is more staggered. In our experience this shows signs of a more constant supply of ingredients to the body. Plus, with four capsules, there’s the ability to fit more testosterone boosting compounds into each one. This might be the reason that TestoFuel can offer a more potent and powerful daily serving. 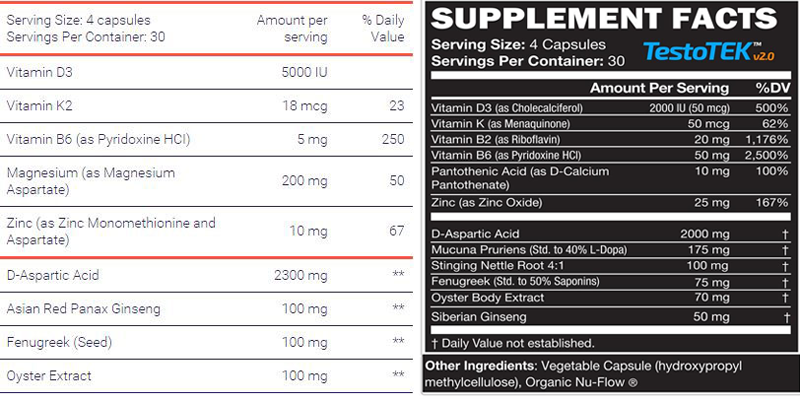 As we can see from the ingredient sizes, Roar Ambition’s testosterone booster offers greater amounts of key elements. But Testotek v2.0 does take the lead with some extras such as Zinc and Vitamin B6. While this is a minor bonus, it would’ve been more beneficial to up the servings on their main players rather than add another name to their ingredient profile. Because of TestoFuel’s larger amounts of key ingredients it may have an edge. However, it doesn’t completely run away with higher servings of everything. At 12 ingredients, Testotek v2.0 does have some add-ons that TestoFuel doesn’t. Bottom line – TestoFuel has a more potent, powerful formula. But Testotek v2.0’s additional extras might appeal to some people. Throughout this segment we’ll analyze the potential safety of each product. We’ll also look at any possible side effects, and what you need to know. As an all-natural supplement, there are no proprietary blends that pose a risk. TestoFuel is also well served too, as it follows clinical and scientific guidelines. According to one study on 90 individuals, D-Aspartic Acid is safe to consume for at least 90 days . However, in other studies, men have reported feeling irritable, nervous, and suffering from headaches. But it should be noted that one man in the placebo group felt these too . The best way to steer clear of side effects is to follow the suggested servings. If in doubt, it’s a good idea to check your chosen supplement with a trained medical professional. Due to the clinical serving sizes and all-natural ingredients, we believe Testofuel should be safe. Not only that, but we feel that the amount of DAA present should not induce side effects. Just like TestoFuel, the makers of Testotek v2.0 say it is all natural. It is also free from proprietary blends, meaning there’s no hidden ingredients in the capsules. When our team inspected Testotek v2.0’s profile we detected nothing that should cause concern. There are no ingredient amounts that we saw as unsafe either. If anything, we felt Testotek v2.0 could have upped their individual sizes. Yet, like TestoFuel, there is D-aspartic acid in this mix. Scientists believe DAA is safe to consume for up to 90 days. It’s not that it’s unsafe for long term use, but very few studies explored past this period. As mentioned earlier there have been reported side effects in some men, but not all. However, the same things were also found present in a placebo test subject too, meaning they weren’t exclusive . TestoFuel seems to be more affordable by the single bottle. Plus, when bought as a three-bottle bundle, the added free months’ supply offsets the higher price. Although three bottles of Testotek v2.0 is technically less, you get another 120 capsules of TestoFuel and free shipping for just over $10 more. However, TestoFuel doesn’t offer a six-bottle package like Testotek v2.0. We didn’t see this as that much of an advantage unless you’d already tried Testotek v2.0 and knew if was for you. Even then, the $100 discount doesn’t quite outweigh TestoFuel’s fourth free bottle and shipping reward. For these reasons, our team believe TestoFuel comes out on top for cost. Both testosterone boosters showed signs of potential. So, our team have compiled the results from each section here to identify an overall winner. Here we’ll pit TestoFuel and Testotek v2.0 against each other for a final, clear-cut analysis. After rounding up each part of our reviewing criteria we have a clear leader. TestoFuel pips Testotek v2.0 to the post in 80% of our tests, only siding a draw for safety. Brand authority, ingredients, servings, and research all gave it an edge. Our team did see promise in Testotek v2.0. There was research behind their key ingredients, it should be safe, and there were no proprietary blends. However, TestoFuel seemed to take the same positives and add to them. For this reason, it stood out as the better testosterone booster. Roshanzamir F, Safavi SM. The putative effects of D-Aspartic acid on blood testosterone levels: A systematic review. Int J Reprod Biomed (Yazd). 2017;15(1):1–10.